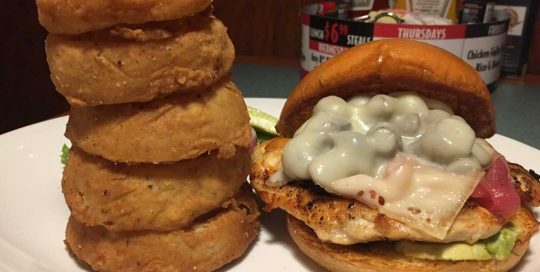 A grilled chicken breast topped with monterey jack cheese, our famous housemade Honey Pepper Bacon™, and our honey mustard sauce. What a sandwich! 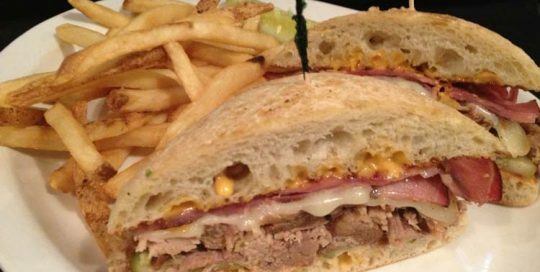 Pulled pork and shaved ham, served on grilled ciabatta bread with dill pickle slices, melted swiss cheese, and spicy mayonnaise. 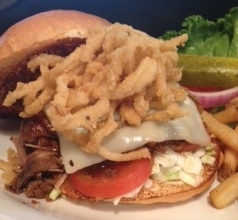 Pulled Pork, Shaved Cabbage, tomatoes, swiss cheese, BBQ sauce, and topped with fried onion slivers. Blackened chicken breast with sliced avocado, merlot marinated mushrooms, candied red onions, swiss cheese and mayo on a toasted white cornmeal bun. 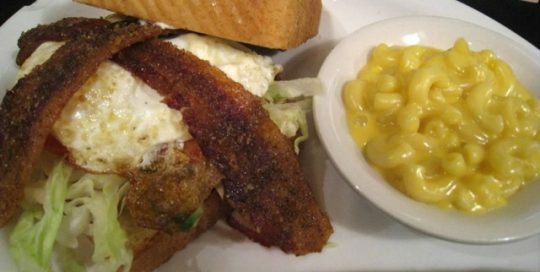 Our signature Honey Pepper Bacon™, shredded lettuce, sliced tomatoes, mayonnaise and avocados, topped with a fried egg on Texas toast. 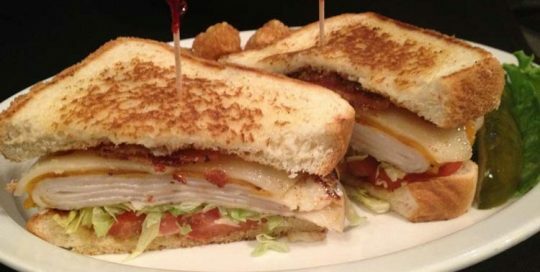 Sliced turkey on grilled Texas toast, with melted cheddar and swiss cheese, Honey Pepper Bacon™, lettuce, tomato, bistro sauce, and mayonnaise. 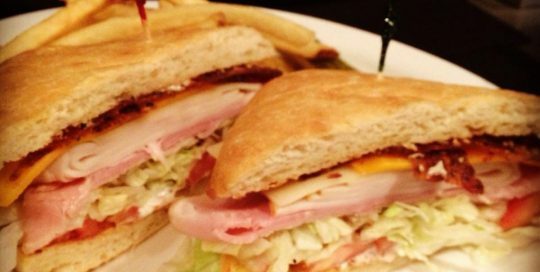 Sliced ham, sliced turkey, swiss cheese, cheddar cheese, lettuce, avocado slices, tomatoes, Honey Pepper Bacon™, mayonnaise and bistro sauce on ciabatta bread. 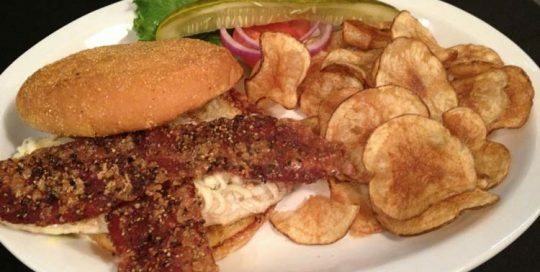 Sandwiches	Overall rating:	4.7	out of 5 based on 338	reviews.